Few brands can say they've made history, but NOVA has done just that. 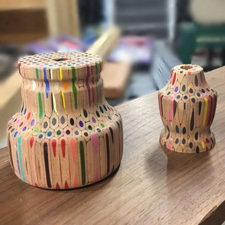 Award-winning NOVA lathes and chucks have been credited as some of the top innovations in woodworking over the last 25 years. The company has revolutionized woodturning by introducing a multitude of features now standard across the industry, including swivel headstocks, extendable beds, and the 4 Jaw Self-Centering Chuck. Precision machined from high tensile steel, the NOVA Chuck utilizes a unique woodturning dovetail design that works in harmony with the wood, making it one of the most popular choices for woodworkers. 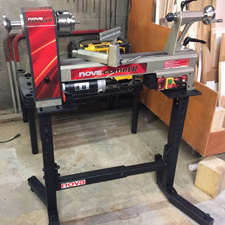 Tools Plus stocks a wide and affordable inventory of industry-favorite NOVA products, including lathes, chucks, drill presses and sharpening accessories. 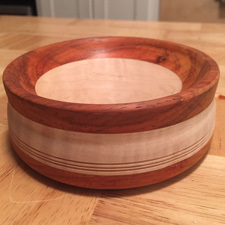 Get your woodworking jobs done right with NOVA lathes and chucks. Nova is just one of the numerous manufacturer lines offered at Tools-Plus.com. Shop with confidence knowing that Tools-Plus.com is an Authorized Internet Retailer.